Let's address crashing and lagging. The issues and solutions. Many of us have issues in the game with crashing and lagging. I never submitted ticket for support, so I don't know what is the response from kabam. As a suggestion I have few options in order to fix these issues. 1. Restart, Uninstall, Restart, Install. 2. For android only: Uninstall, restart, delete all data files, restart, install. 3. For apple and other: Uninstall, restart, get junk cleaning app like for example in apple store: Magic Cleaner by Daniel Anderson, run the junk removal untill you see: 0 removed, restart, install. 4. Worst-case scenario: Uninstall, restart, BackUp, Confirm the the backup, Restore the phone to factory, try not to use BackUp if you can, Install. 5. This may not help if you have unpopular device. Kabam is testing most popular devices and if you really a gamer on next upgrade try to get popular device. If you have no options to change device, contact support and submit crash log if there's an option for that. All games/apps have major issues after updates. Kabam has big issue with silent updates which cause 1 or 2 crashes and they do it sometimes before AM. Bad idea! And for kabam, after fresh install there's an issue with lagging which happens rarely. Fills like it's one time SP loading lag for a character. Please comment if you would like other solutions and results. One more thing about lagging. It could happen because other apps open. Just kill them. Well there are different types of lag btw. Some are network related (user) hardware related (user), Server related (Kabam) and game/graphical content (kabam). The majority of the lag that is described by people is the latter. While you could argue that the devices can't handle it so they should get a new phone, people literally with brand new phones are having lag, calling support, and getting the same blank responses. The lag started when they started putting things in the background. The Pillars, the rocks, the rolling smoke, etc. I have seen videos of smoke moving and bots just standing there for 20 seconds before the moves happen. Its insane to see this. When I started playing this game none of that was there and I had no issues. I ran RoK On my phone in September and while it got hot, it was manageable. The more landscape changes Kabam makes the worse it gets and the more users that are affected. I even get minor lag on my ipad pro now since the latest update. We are talking about literally a state of the art device here. Its not device related that I know because I have nothing on it except one other game. You also need to take into account the server issues. The more users online at once, the more users drawing data etc. That can slow the transmission of information. Ever notice sometimes you may hold block and the command doesn't work? It happens everyone in while and you probably think I could have sworn I was blocking. You probably were. That is a transmission issue, not a control issue. While your suggestions are helpful, many users have done this. Some have done number 4 multiple times including myself on my phone. Honestly at this point Kabam should take some advice that has been given to them, easiest ways to fix lag are go through the landscape and change the rendering and reduce the detailing. Give a graphic output option if this is not an option, that will reduce device lag immediately and give us the option to reduce the detailing of backgrounds. Upgrade servers or give players the options to select servers. That may be harder because of the way they have arenas set up currently. Those would help significantly more than anything a user could actually do. Nothing related to server communication can cause crashing or lagging. Can you be more specific and describe the lag/lags? “While a single-player game maintains the main game state on the local machine, an online game requires it to be maintained on a central server in order to avoid inconsistencies between individual clients. As such, the client has no direct control over the central game state and may only send change requests to the server, and can only update the local game state by receiving updates from the server. This need to communicate causes a delay between the clients and the server, and is the fundamental cause behind lag. While there may be numerous underlying reasons for why a player experiences lag, they can be summarized as insufficient hardware in either the client or the server, or a poor connection between the client and server. Hardware related issues cause lag due to the fundamental structure of the game architecture. Generally, games consist of a looped sequence of states, or "frames". During each frame, the game accepts user input and performs necessary calculations (AI, graphics etc.). When all processing is finished, the game will update the game state and produce an output, such as a new image on the screen and/or a packet to be sent to the server. The frequency at which frames are generated is often referred to as the frame rate. As the central game state is located on the server, the updated information must be sent from the client to the server in order to take effect. In addition, the client must receive the necessary information from the server in order to fully update the state. Generating packets to send to the server and processing the received packets can only be done as often as the client is able to update its local state. Although packets could theoretically be generated and sent faster than this, it would only result in sending redundant data if the game state cannot be updated between each packet. A low frame rate would therefore make the game less responsive to updates and may force it to skip outdated data. Conversely, the same holds true for the server. The frame rate (or tick rate) of the server determines how often it can process data from clients and send updates. This type of problem is difficult to predict and compensate for. Apart from enforcing minimum hardware requirements and attempting to optimize the game for better performance, there are no feasible ways to deal with it. Perhaps the most common type of lag is caused by network performance problems. Losses, corruption or jitter (an outdated packet is in effect a loss) may all cause problems, but these problems are relatively rare in a network with sufficient bandwidth and no or little congestion. Instead, the latency involved in transmitting data between clients and server plays a significant role. Latency varies depending on a number of factors, such as the physical distance between the end-systems, as a longer distance means additional transmission length and routing required and therefore higher latency. Routing over the Internet may be extremely indirect, resulting in far more transmission length (and consequent latency) than a direct route, although the cloud gaming service OnLive has developed a solution to this issue by establishing peering relationships with multiple Tier 1 network Internet Service Providers and choosing an optimal route between server and user. In addition, insufficient bandwidth and congestion, even if not severe enough to cause losses, may cause additional delays regardless of distance. As with the hardware issues, packets that arrive slowly or not at all will make both the client and server unable to update the game state in a timely manner. I don't see description of the lag. And again, nothing related to server communication can cause crashing or lagging. Maybe only crashing because of bad data received which gets fixed right away and it almost never happens. I can explain the technical part, but it's really pointless. @BOFAD, I understand that you have issues. Try to look from different angle. How is it possible that you and me using the same device, playing same game and on the same levels, but I dont have issues. Without you explaining exact lag or lags, it's impossible to understand what's the issue. And it only creates problems for others since they give up on trying to find a solution to fix crashes/lags and think they are not fixable. This is patently false. I would actually venture to guess that recent anti cheating measures have lead to the uptick in problems. If the game is client authorative then interactions with the server won’t cause lag, the game just runs entirely on the client side and the results are simply sent up to the server. You could see when MCoC switched from a client to server authorative model due to rampant cheating and you could immediately see the result in the support forums. I venture that something very similar happened here. Just a few weeks back there was a bunch of high profile cheating and now game issues are terribad. When the game is just outright stalling for several seconds, thus is due to the game waiting on a network response. Now the problem is, we are using the word lag overly broadly or not specifically enough. There is device or frame rate related lag which seems to be what you are talkin about. There is network lag, which is the client hanging on a response from the server, and it also appears there is input lag for many, which could come down to a mix of device, programming and thermals issues. Hold up ombré I didn’t say your solutions were bad. Those are solutions are standard solutions. People shouldn’t give up but you also have to be realistic about Kabam. There are several posts about lag etc on the forums this isn’t some one off thing. I appreciate you offering fixes for guys that don’t know these already. Server issues are the control issues. That’s the block example I gave earlier, dashing forward when you back or sidestep. That’s a bug in the server 100%. No other explanation for it as the controls are mapped correctly 99% of the time. That’s something we as users cannot fix. There is also suspensions going around that some lag is caused by a cheat detection software. This application would be directly connected on the server. When it runs it can cause server lag this would explain why some users say the game runs fine now but last night it wasn’t running at all. A workaround for that is staying far away from your opponent and not relying on block as a defense but a last resort. As far as issues some have and some don’t, I don’t know. I do know the suggestions I mentioned will cut down on lag. Ok, I guess I have to explain. Yes, there's a difference between client only vs client/server games. It's created mostly because of cheating, hacking, cracking and you can say thanks to them) It also has huge advantages and creates better gaming experience for players. And of course it may have a lit more issues, but it's not related to fights. Why? Because client means that part of the game is running on the client side and during a fight no information/data is getting from the server which relates to the fight. Only before the fight and after. For example, when I take a train the internet is available only on stations and while the train is in the tunnel between stations, there's no internet. I start the fight during a stop and play it while no internet access available with no interruptions. After the fight the is finished, I have to wait till I get to station, so the game will access server. Please dont teach the doctors how to take take care of patients. @BOFAD, maybe this can help? It's easy to say that it's all bugs and crashes. Can we try to understand the difference between the issues. 1. The game improves every time and enemy is more effective on expert levels which makes it more fun and more interesting. The improvements goes both way, for player and AI. It doesn't make it boring and more fun in expert. If bot is quick, it's not related to response issues. 2. Overheating caused by old devices running amazing graphics and it's simply amazing how mobile GPU can process these hi-end games. If you ask me, I rather have great game then 2D BS. 3. Even when device is less responsive, skilled player should not have issues because he does not put his bot in dangerous situations. @BOFAD, I know are a skilled player. All I am saying is try to take a fresh look at this and ask someone who is a pro in that field and does programming for living. For real, because obviously the people writing code for this game are not pros in the gaming field doing it for a living... ummm...? 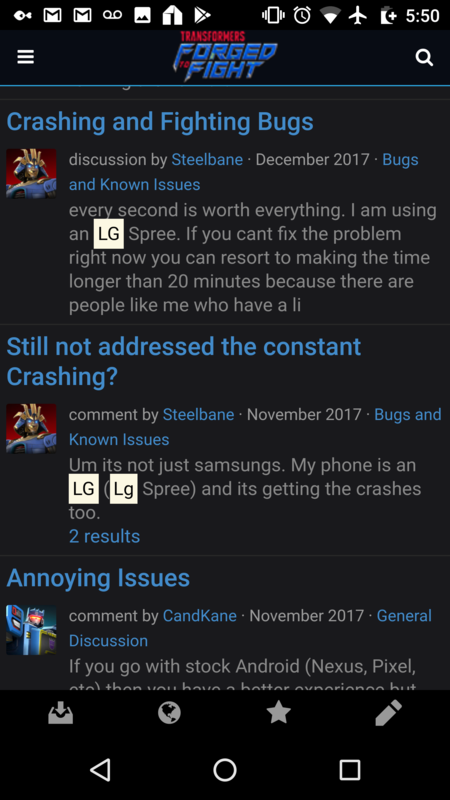 Actually what is probably more helpful is LESS generic and vague "it crashes... when is it going to be fixed" posts, because it does not just crash in general globally. I never have a problem on my device, unless I am grabbing auto updates in the background, so... there's a logical reason why a spastic "it's crashing!" gets a blank response. It's a blank statement that deserves a blank (if sympathetic) response. Also a forum admin is not a code writer (probably... I mean I don't know the organizational chart, but given the "pass along to development team" remarks it's implied). Fill out a tech report with as much detail as possible instead, yes including your device and specifics. Not to imply you should get all hurt about anybody saying it's your devices fault, but given that I can attest it isn't happening on MY device/connection combo, every detail is pertinent information. THAT'S the best advice. A new "what about the crashing" thread submitted through NOT the proper technical venue every week only serves to mystify the people who don't know what you are talking about (cause no issues matching what you are saying ever experienced), or to spur on additional venting that doesn't really help (because it's probably to vague to pass on much, and is second hand because the admins aren't the programmers). Street fighter, you seem to know something about programming. While I have you on the hook in your thread, let me tell you my story. I'm running on a Nexus 6, which is a dated device. It's EOL and no longer receiving updates. Throughout the history of this game I've experienced on and off weeks of extreme crashing in alliance missions, and weeks of flawless performance in alliance missions. There were two recent major cheating hammers. The first week was when a certain alliance ranked first but rewards were later adjusted. During that week, and for several weeks leading up to it, the game was running flawlessly for me in am. On the last day of that week in am I started crashing at the loading screen again, over and over again. The following series, I crashed 33 times in the first round, and well over 50 times in the entire series. I wasn't crashing at all for weeks. I'd previously experienced these problems. And I'm still crashing, though not as severely. I know I'm on a dated device but something clearly happened. Other members in my alliance reported extreme lag and freezes as well right when these things started happening to me. I think this is what Serapth is suggesting. 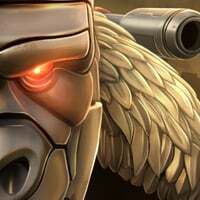 Some of us think Kabam did something server side to detect cheating, and it effects game performance. @asparagus, there's a always a possibility of freeze issue, lagging or crashes. All I was saying is not to generalize all issues, because then no one will take the real problems seriously. If you have issues with the game, start tracing it step by step. First, make sure it's not known issue and developer is working on the fix. It will save you from headaches. If it's not on going issue, then try this: restart, uninstall, restart, delete all data files, restart, install. I like to do extra restarts for precautions. I think there's a way to uninstall the app with data in android. I don't know much about android, but you can google it. Don't forget to kill all apps when playing the game. Can you try that and comment the results? By the way, I see that Nexus 6 was released in 2014. I don't know how new games run on older devices. Maybe you should contact support and ask them about your device. 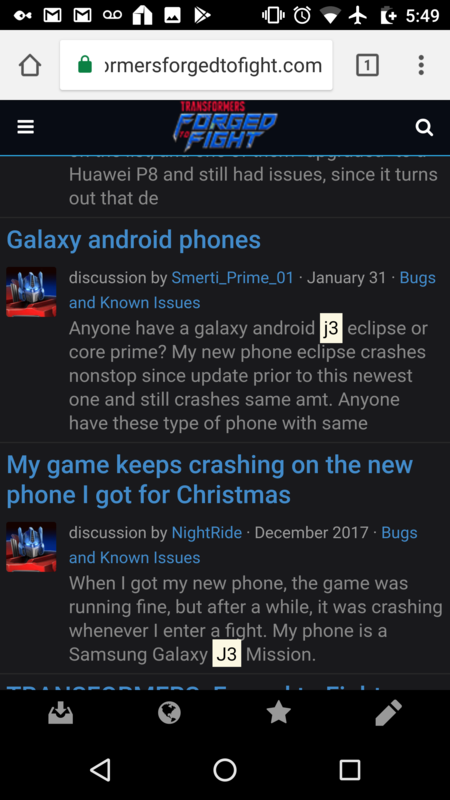 I decided to go back and look at some of the posts by players with complaints on crashing after viewing that list. Turns out the vast majority of them who mentioned their device have it appear on the underperform list... Most notably various Galaxy and LG devices, and the Huawei P8. Old devices are old. In general, Androids actually tend to play this game better than iPhones do. Not sure if it's Apple's fault or Kabam, but I've seen far more threads from ios users complaining about overheating and control issues than Android by a long shot. Also, to be clear, these are super old Galaxy and LG phones on the list. The newest standard flagships on the list are Galaxy S4 and LG G3. The S5 variants are international and cheaper, watered down versions, mostly either prepaid phones for like Boost mobile or international 3rd world markets. S7, S8, G6, V20, and V30 users would probably all tell you their experience with this game is great. My current and previous Android phones both run this game without issue. There's a good chunk of players that complain about crashes on devices that are clearly very old, and they should know better. 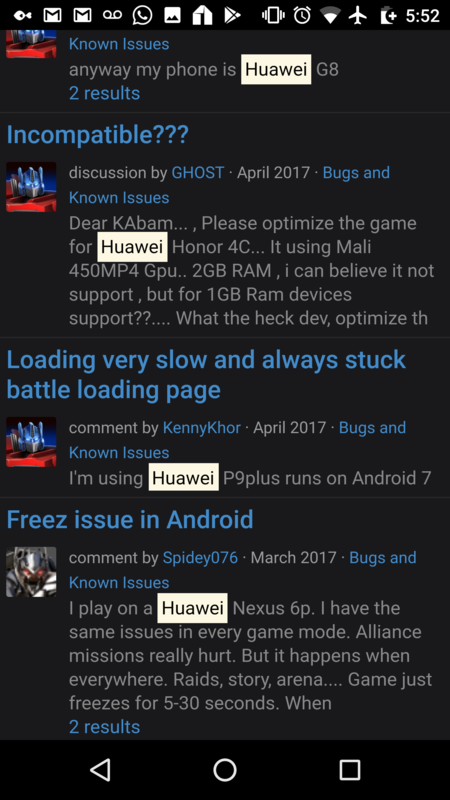 There are several players that specifically complained about their galaxy j3, which is on the list, and one of them "upgraded" to a Huawei P8 and still had issues, since it turns out that device is also on the list. Just saying, just as others have, not every case is the developer's fault. I'm actually glad that @Manthro cares about the issue and took extra step to check the list. It's on going issue and sorting out it by categories will help on long run for these who have these issues. When a player see crashes/lagging every day posted, most likely he will not try to resolve it. I don't see any reason for the game to be so problematic and I also believe the issues are fixable. No developer will allow for any game to be not stable. You may be right about old devices work good for the game, but the developers have minimum requirements for processors & memory. Since you mentioned about players complain more on iOS device about overheating & control issues, it means that the issue is related to the device most likely. I also think it's device related. The core game is written same way for both iOS and Androids. Well, first off, I agree with Manthro after he clarified his position. I was mostly commenting that his post would read like Galaxy S8 and LG G6 were problem phones to people that didn't click the link, which would be misleading. I'm not saying old phones work well with the game, quite the contrary. iOS and Android do differ in how the game is coded. They are such different chipsets that it is sort of like the difference between a game on PC or Mac. 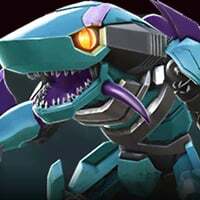 They effectively have to port the game to Android. Furthermore, iOS does have additional graphical "fluff" that adds to the overheating issue. I think really, particularly in the case of iOS users, it is a bit of both to blame... Apple and Kabam. Some of it is Kabam's decisions, some of it is Apple issues. Most Android issues are probably either like you said, a device that Kabam hasn't tested, or just too old. What I mean by core game is that the game was created in Unity if I am not mistaken. I don't know much about the mobile dev, but I know that now majority are multiplatform. Here's the screen shot from Unity. I have consistently had problems with Kabam titles and I have/use multiple current mobile devices ( since I actually do game development, somewhat of a job requirement...). Personally I have experienced occasional terrible performance on Pixel, S6 and newest generation iPad. Some of the issues are certainly from ancient devices but certainly not all. Frankly I don't know what threads Manthro is referring to... Taking a quick browse through lag/crash threads I'm seeing mostly flashship or near flagship devices such as iPhone 8 and S6/S7 listed. Oh sure, I'm not discounting the fact some people on older or obscure devices are suffering, in fact I stated that clearly in the post you quoted. Now perform the same search for iPhone, S6 7 or 8 and see many more results. These issues are not solely related to older devices, not even close. Which phone model do you use? I know that list doesn't show every possibly underperforming device but the Nexus 6p shouldn't be one of them, not if ram is the reason they're having issues. I wonder if the Mali GPU issue extends in some way to other devices. Every now and then I see the loading screen over the fight bug on my Nexus 6. I don't see Nexus 6 in the list, but the list is Last update: 10/16/2017. They had major game updates since that date, you should contact support and ask them if Nexus 6 has minimum requirements. There's no reason to speculate and kabam has very quick respond in support. I have contacted support. My device is EOL. It's not receiving updates anymore so I don't expect kabam to fix anything for me. The Nexus 6p should work fine. I'm just curious about how my device could have been running flawlessly, then right when it was stated that "steps had been taken to ensure that the game is being played fairly" I started crashing, severely, and others, running on newer and higher performing devices reported a severe uptick in freezes and lag. Just to clarify, I believe that supported devices only means if the hardware specs are at minimum to run the game. The reason I started to look for that list is simply logic. Hi-end 3D game requires a lot of processing speed and memory. You can try to do what I suggested early, it may help. This game has a serious memory leak. I restart the game, it works fine for a few fights, then Kabam, lag. iPhone 8, still crashes on load and gives me the health penalty. Still coming back to ‘your alliance needs help!’ Or ‘your squad has returned!’. This time I came back to no audio either.